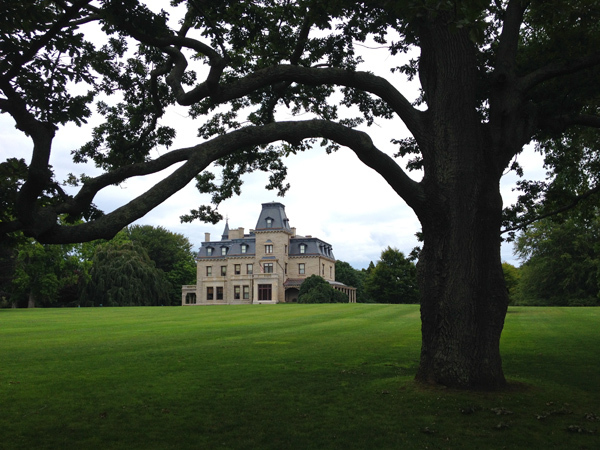 Among the earliest Gilded Age mansions along Bellevue Avenue, the 'castle by the sea' built for merchant William Wetmore in 1852 is distinct among Newport’s “cottages” as it was intended for year-round use. 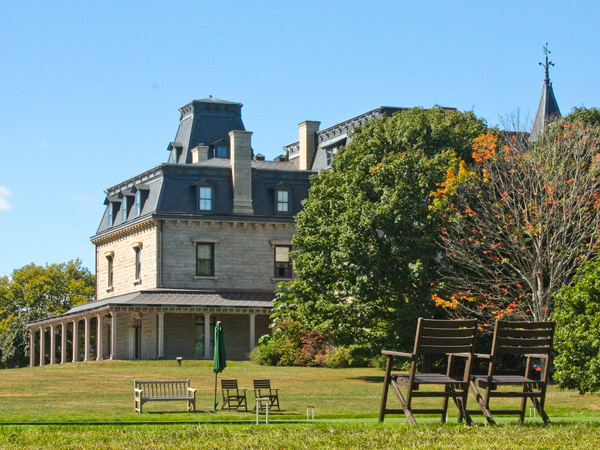 Designed by Seth Bradford and constructed of rusticated granite, the mansion was located in a 35-acre coastal meadow stretching to the cliffs overlooking Narragansett Bay. 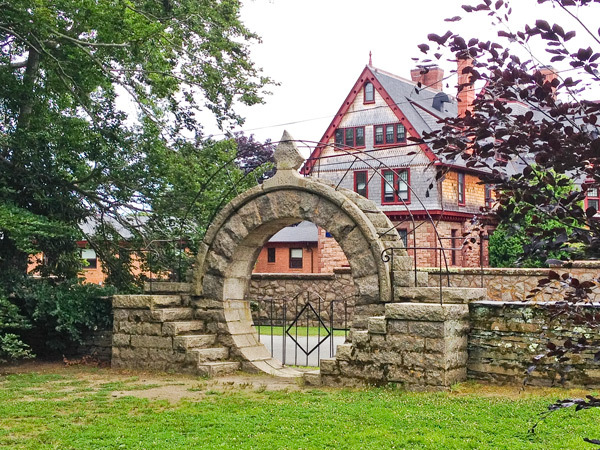 Concurrent with the construction of the house, a red freestone porter’s lodge and entrance arch modeled on an ancient Roman construction were built; by 1860 a granite moon gate was erected, reflective of Wetmore’s visits to China. 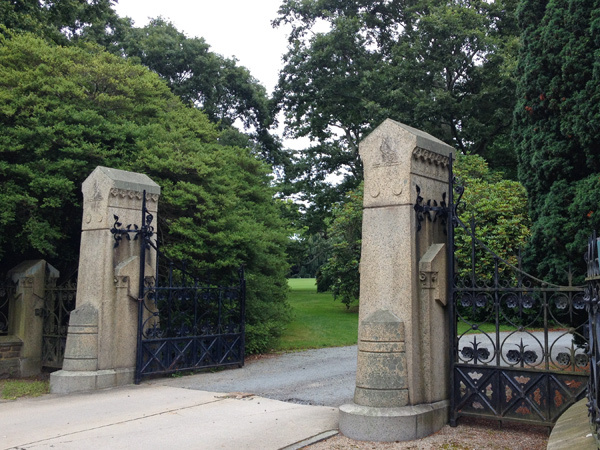 In 1870 Richard Morris Hunt designed granite gates inspired by Egyptian obelisks and three years later was commissioned to enlarge the mansion. 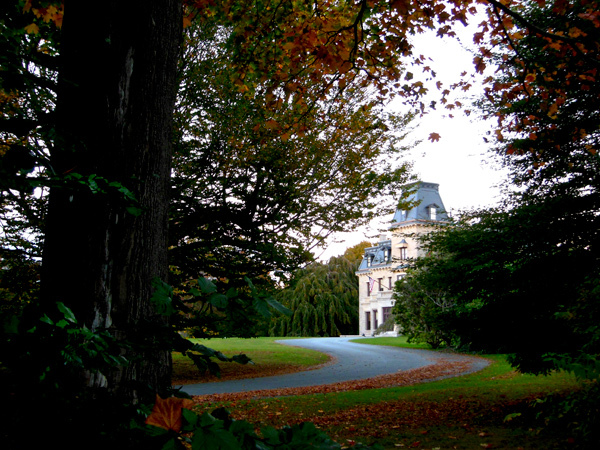 Victorian gardens enveloped the property, designed initially by Wetmore’s gardener Robert Christie and elaborated on by Ernest Bowditch in the 1890s. 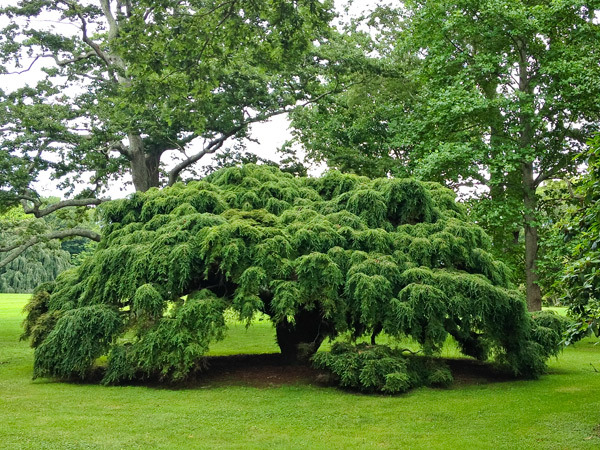 Between 1895 and 1940 Swedish gardener Sven Johnson maintained the estate’s landscape, punctuated by greenhouses, stables, and a garden house and bordered by an eight-foot-tall wall on the north and east perimeters. 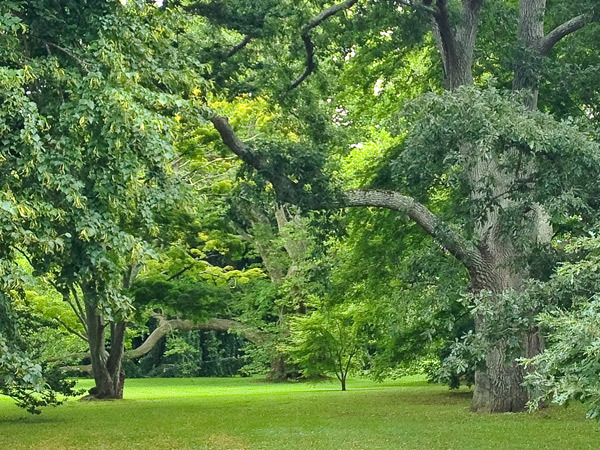 In 1915 John Russell Pope redesigned parts of the mansion and from 1915 to 1918 Olmsted Brothers transformed the property into a picturesque arboretum while reorienting the service road and eliminating an intrusive drive to the south of the mansion. 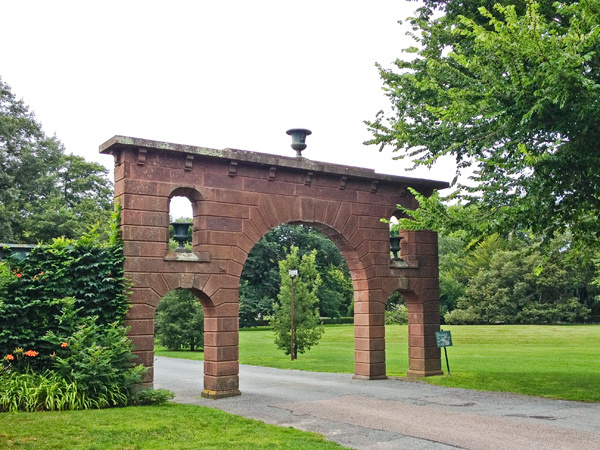 Purchased by the Preservation Society of Newport County in 1966, the seventeen-acre Chateau-sur-Mer was listed in the National Register of Historic Places two years later. 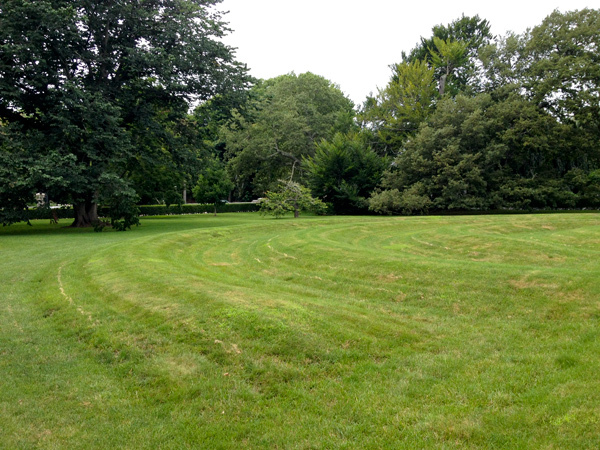 In 1974, as part of Newport’s “Monumenta” exhibit of 54 outdoor sculptures, artist Richard Fleischner constructed Sod Maze, a 142-foot-diameter earthwork behind the mansion. In 2006 the property was designated a National Historic Landmark.